Volkswagen Golf is the most iconic model in the range and features a sporty style, sleek headlamps and body-coloured bumpers as standard. Various trim levels and extras are available, including alloy wheels, which add an extra flair to the exterior of the vehicle as well as improving handling. The cabin of the Golf offers a bright, roomy interior space, with ergonomic controls and a wide array of driver assistance technologies. These include electronic power steering, a multifunction steering wheel and a multi-device interface with smartphone integration. Not only that, but the rear provides a flexible luggage space, thanks to the Variable Boot system which allows you change the height of the boot. The safety package includes: Adaptive Cruise Control which allows you to maintain a safe distance from the car in front, Electronic Stability Control (ESC) and a new Driver Alert System, which analyses data such as steering patterns and offers helpful advice in the form of visual and audible prompts. A wide variety of Golf models have been selected for our Motability offers, helping Scheme users to get more for their mobility allowance. Attractive benefits such as nil advanced payment with certain offers, low and fixed monthly rental fees plus many adaptations make our deals highly rewarding. See the examples on this page for an overview of the offers you can take advantage of today. 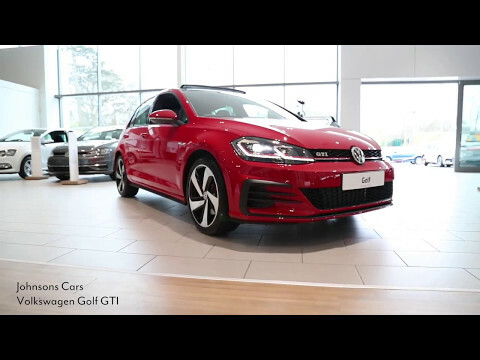 Book an appointment with a friendly Motability specialist at one of our Volkswagen showrooms to talk about our Volkswagen Golf Motability offers. We will also arrange a test drive so that you can decide if it is right for you.